Grew up… under the strict supervision of his father, a dentist. 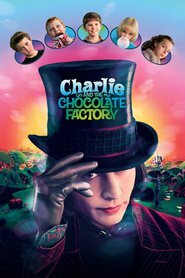 The elder Mr. Wonka never wanted his son to become a confectioner – every dentist’s enemy. When Charlie threatened to run away to the “candy capitals of the world” and leave his family behind, his father took him at his word and abandoned him. Profession… founder and owner of The Willy Wonka Candy Company. Willy, though, is getting ready to think about retirement. Relationship Status... single. Willy lives alone, and rather secretly, in the factory. He has only the mysterious Oompa-Loompas – undersized humans who serve as his live-in workforce ­– to keep him company. That seems to be the way the rather odd Wonka wants it. Challenge… finding an heir. Wonka, who does not believe in the institution of family, has reached a point where he needs to begin thinking about the future. He hopes to find an heir who can succeed him in running his company, while matching his wonder and creativity. Personality… eccentric, cheerful, and strange. Wonka has a child-like way about him. Although he constantly has a welcoming smile on his face, he won’t hesitate to let his guests know when he’s annoyed with them. His emotions are often close to the surface. Willy Wonka's popularity ranking on CharacTour is #134 out of 5,000+ characters. See our top-ranked characters and read their profiles.